Cross another big-time poker pro off of the list of “Best poker player without a bracelet” as Bertrand “ElkY” Grosspellier took home his first WSOP bracelet in the $10k Seven-Card-Stud Championship at the 2011 World Series of Poker. 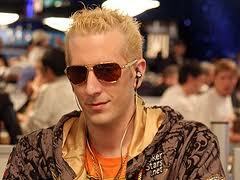 In the process ElkY became the fourth member of poker’s Triple Crown club, joining Gavin Griffin, Roland de Wolfe, and Jake Cody (who completed the Triple Crown earlier in the 2011 WSOP) in the very exclusive club. ElkY joins Jake Cody, Eugene Katchalov, Jason Somerville (who won the $1k NLHE tournament yesterday), and Allen Bari as first-time WSOP bracelet winners in 2011. This entry was posted on Wednesday, June 15th, 2011 at 9:10 am and is filed under Poker News. You can follow any responses to this entry through the RSS 2.0 feed. You can leave a response, or trackback from your own site.